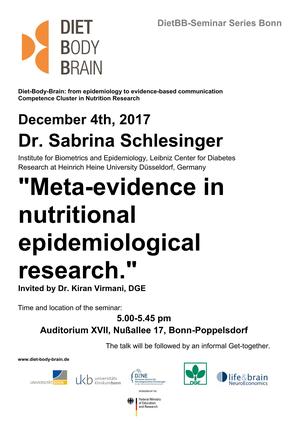 Dr. Sabrina Schlesinger, Head Junior Research Group Systematic Reviews, will provide an overview of the conduct of systematic reviews and the performance of different meta-analytical approaches by using examples from nutritional epidemiological studies. A large amount of epidemiological research on the association between diet and chronic diseases is available. Systematic reviews and meta-analyses are important research designs that summarize findings from several studies on a specific research topic. They are the fundament of evidence-based medicine and influence decision-making processes regarding the prevention and progression of diseases. 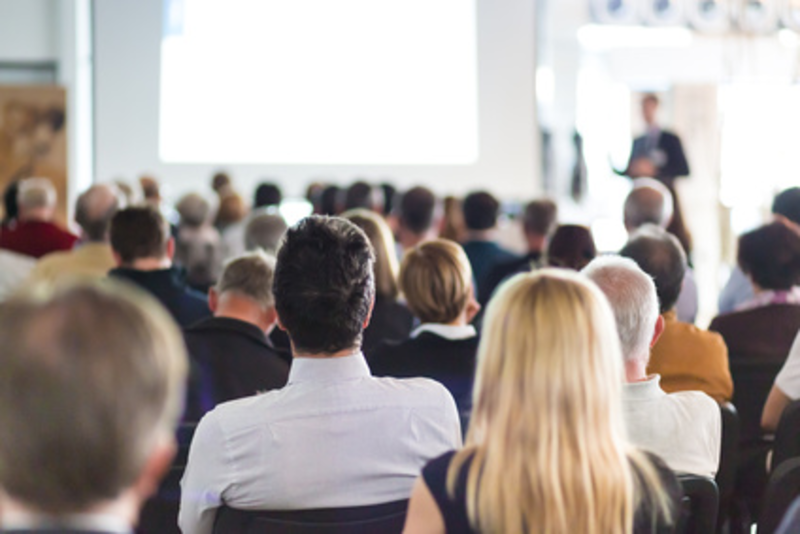 The talk will provide an overview of the conduct of systematic reviews and the performance of different meta-analytical approaches by using examples from nutritional epidemiological studies. For further information about the Institute for Biometrics and Epidemiology and the Junior Research Group Systematic Reviews please use the link.